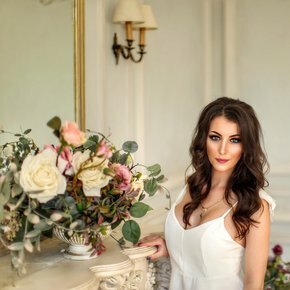 Olga802 - I'm feminine, sociable, cheerful, easy-going, supporting, sincere lady. I'm feminine, sociable, cheerful, easy-going, supporting, sincere lady. I'm looking for manful, reliable, well-off, active, confident, understanding man with a good sense of humor. Feminine, sociable, cheerful, easy-going, supporting, sincere, black, hazel eyes, christian, single, higher (incomplete), administrator, sport, active rest, museums, exhibitions, russian, English.